A Harley-Davidson vintage lighter design for the military. 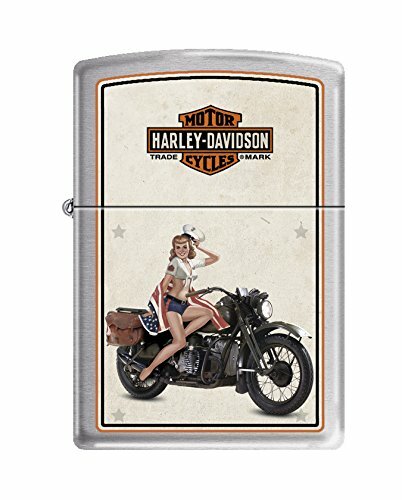 This brushed chrome windproof lighter features the Harley-Davidson bar & Shield logo, marine girl, and motorcycle color imaged on this lighter. Comes packaged in an environmentally friendly gift box. For optimal performance, fill with Zippo premium lighter fluid.